KVG will hold its Annual General Meeting, so this is the formal notice of our AGM which will be on the 6th March 2019 which will commence at 20:00 at The Angel, Bath Road, Woolhampton, Berkshire, RG7 5RT. 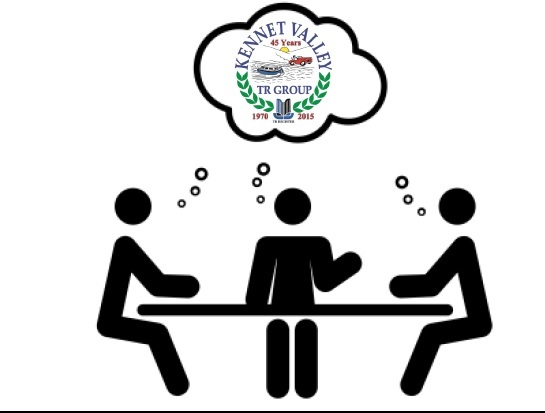 As always I remind you that being a member of the TR Register and locally the KVG, entitles you as a 'share holder' to be involved in the running of the club by becoming a member of the local or national committee, giving your opinion or just helping out. Ensure that the Group is organised and administered effectively. Receive information of the financial status and activities of your Group. Give an opportunity to have a voice in running your Group. This year we will have some committee members stepping down after many years of great support, so please consider offering your help and support by putting yourself forward to join the committee, details will follow soon.